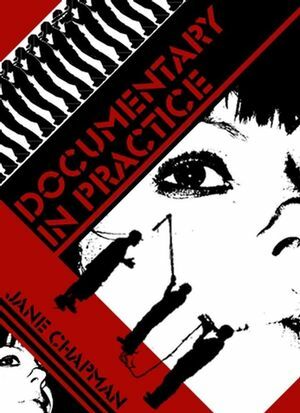 Documentary in Practice provides a unique approach to practical documentary-making. Through fascinating analysis of real-life production situations, Jane Chapman shows the challenges and issues faced during the filmmaking process by a range of both well-known and up-and-coming documentary-makers. She also brings her own personal experience as a seasoned documentary producer and teacher to advise on how students can gain invaluable insight from these projects. All students of media studies as well as aspiring documentary-makers will find this book a refreshing introduction to the choices available for filmmaking and the issues that may emerge during the process. Jane Chapman is Reader in Media Studies at the University of Lincoln. "This book, which offers wonderful examples of film-makers reflecting on their practical choices, together with insightful commentary from the author, shows how critical thinking is foundational to the film-making practice." "Jane Chapman manages to mix creative enthusiasm and practical advice in equal measure. This engaging book, informed by her experience in television, is a major contribution to teaching documentary production. Its thoughtful commentary and sequence of illuminating case-studies will also be of value to a broader understanding of this area of work and its critical appreciation." A unique guidebook to the process of documentary making, from initial planning stages through to marketing and distribution. Solid professional advice grounded in a broad range of real life experiences and examples – a range of producers have made their production records available for this book. Written by an author who is both an experienced teacher and prize-winning documentary producer. Will be supported by a website with pedagogical and teaching materials and partnered with a forthcoming companion textbook on documentary theory. Adoptable at 2nd/3rd year undergraduate and for MA students.